Instagram is a thriving network with over 700 million monthly active users tapping away on their screens worldwide (source: Statista). What’s more, only 36% of marketers are using Instagram for business, compared to the 93% who use Facebook (source: ecommerceCEO). Just consider how oversaturated and competitive Twitter or Facebook is (not to mention the necessity to invest in ads or algorithms). Instagram, on the other hand, presents marketers with the opportunity to push through the clutter. Hence why we thought we’d show you the ropes of how to set up an Instagram account, so you too can take advantage of this social media channel. But first things first, you will need an Instagram account. Before you create a new account (or decide it’s time to refresh your old one), ensure you’ve defined how Instagram will serve your business. This social media network can support a range of business objectives, but to truly succeed, you will need to narrow your focus. Keep in mind that both, high-quality content and consistency, are essential. When you switch to a business profile, it's possible to add more information to your profile, including opening hours, a business address or a phone number. You'll also be able to do paid advertising and gain real-time insights into how well your posts and stories are performing. Last but not least, converting to an Instagram Business Profile will allow you to use many third-party tools (like Sendible) to schedule photos directly to Instagram rather than posting them from your mobile account or a third-party mobile app. Step 1: Download and launch the app (the Instagram app is available on iOS, Android and Windows). Open it once it has been downloaded. Step 2: Tap “Sign up” and enter your email address or phone number to register. Alternatively, tap “Sign in” with Facebook. Choose your username and complete the registration. Then, sign into the Instagram app on your mobile device. Step 3: Visit your profile (main page) and tap the cogwheel icon at the top right corner of your screen. Then, find the “Switch to Business Profile” option in the “Settings” list menu. Step 4: Tap “Continue” until you arrive at the “Connect the Facebook Page” screen. Step 5: Select the Facebook Page of your business to link it to your Instagram profile. Note that you'll only see the pages you're currently an admin of, and only Facebook Business Pages can be linked. Step 6: Fill out your profile, start posting (see tips below) and analyzing the success of your posts with the newly added analytics. Watch the video for an on-hands demonstration on Facebook's support page for more information on how to convert a personal Instagram profile to a Business Profile. 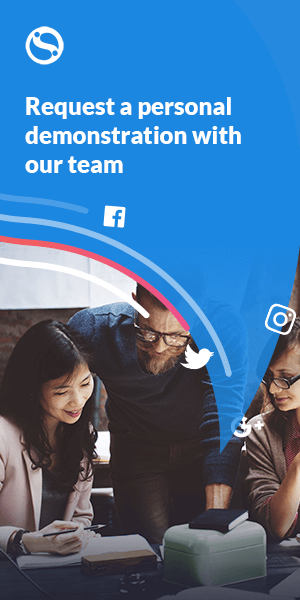 Planning your social media for 2019? Don't miss any key dates, download our free social media calendar to make sure you're on top of trending events. Ask yourself, what do I want to achieve on this social media network? Do I simply want to extend the reach of my brand, or create a place where customers could share photos of our products? It could also be that you want to highlight the more human side of your business and your company culture to attract new talent. That’s what we have chosen to do with our own Instagram account @sendible. 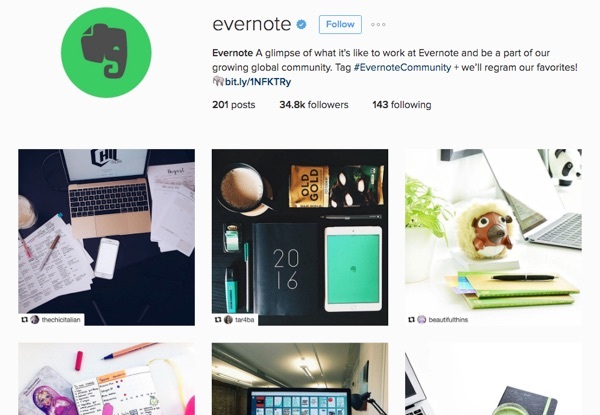 If you plan to take this social network seriously, you'll need an Instagram marketing strategy. Our recent webinar explores why Instagram is the place to be for businesses, the features you need to know about and how you can build a scalable strategy that allows you to manage multiple clients at the same time. Make sure your username and the name of your account, match that of your business. Add a description, i.e. bio (up to 150 characters), to describe what you do and what the channel is for, be interesting and compact. Note that links in individual posts don’t work, so make use of the one that does - located in your Bio section. Don't waste it on your homepage. Update the link frequently, especially when running events, big product launches and special promotions. Unlike most other social media networks, Instagram doesn’t have a custom cover photo to help with brand recognition. This means most of your branding will come from the content you publish (so, plan wisely). Since Instagram introduced Business Profiles, businesses can now add additional contact information and enhanced analytics that let them better understand their followers. While the new Instagram Business Tools can definitely help businesses grow, not all have rushed in to switch. Switching to a business profile requires connecting to the business' Facebook Page, which some fear, might limit post visibility in the future. Scroll up for instructions on how to switch to a Business Profile for Instagram. Instagram is all about visuals, so it’s crucial you can create content that adds value to your audience and potential customers. Seek to inspire and entertain, not directly promote your product or service. Images and videos (up to one minute) can be posted, preferably in Instagram's signature square format, or Vertical with the introduction of Instagram stories. Uploading images and videos in landscape orientation is possible, but the preview will be cut off at the edges. Accompany each image with a great caption and use hashtags sparingly to extend your reach. For more tips on how to use Instagram for business check out our blog post to help you indirectly showcase your products, build anticipation and collaborate with others. Start by following relevant industry influencers and publications. Don't forget about project collaborators and brands you have done business with. Instagram is great for showing your team spirit, so make sure to tag collaborators in captions and they might comment or even repost your post. Take note that it's best to have the perfect Bio and a few updates already posted in place before you start following lots of accounts. You wouldn't want influencers to see an empty profile when they check who followed them recently - so don't miss out. Sendible integrated Instagram into its social media management dashboard back in December 2012. Since then, we've continuously innovated to bring you the best solution possible, including becoming proud members of the Instagram Partners program. In addition to posting photos or videos directly to Instagram and scheduling multiple photos or videos through the Sendible mobile app, our tool allows to monitor your Instagram home feed, read and respond to comments as well as search for specific hashtags. The Sendible team is looking into implementing more exciting new features to Instagram fairly soon, in the meantime, you might also want to learn more about other Instagram marketing tips.